Expectations for My Generation: It's Time to Work Harder | Grand Central Magazine | Your Campus. Your Story. No wonder it seems absurd to us to compromise our precious minutes of relaxation and freedom to sit down, turn on the news and catch up on current events or to devote just a couple moments of our daily lives to researching controversial political topics of interest to help us develop our own educated standpoints and opinions influenced by knowledge, experience, core values and morals. 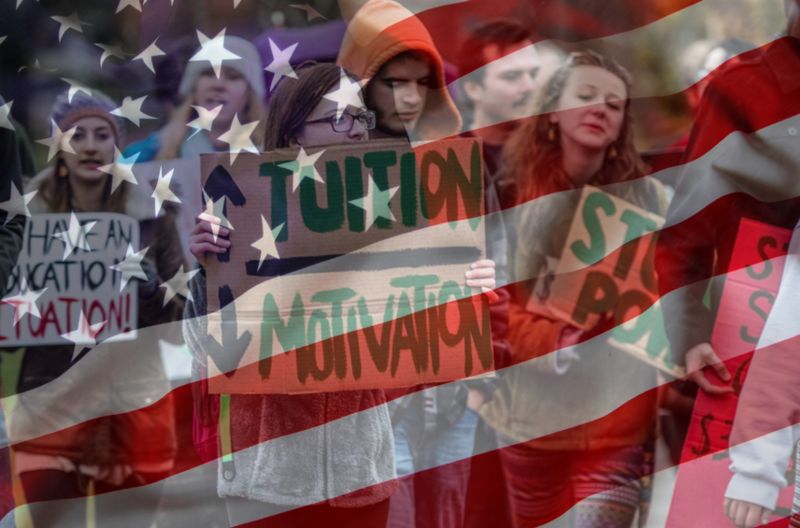 Young adults, especially between the ages of 18- and 20-years-old, have consistently produced the lowest percentage of the overall voter turnout in our country’s elections ever since we earned the right to vote in 1971, a statistic which only solidifies the burden of low expectations the American youth has failed to overcome, generation after generation. We constantly ignore our obligation to participate in the democracy our Founding Fathers spilled blood, sweat and quill ink to attain, because we refuse to learn about political affairs that don’t provide us with a substantial amount of entertainment value, yet another embarrassing stereotype our generation has habitually grown to accept and embrace. Living in a country that has such immense political influence and in a world that has been experiencing frequent and extremely violent terrorist attacks for far too long, it is inevitable for all of our country’s citizens to understand the importance of the educated, thoughtful and deliberate participation in the upcoming election of the next President of the United States. To live out the high expectation and tradition of an honest role model and honorable leader of the free world, it is our jobs as Americans to ensure that whoever is entrusted with these presidential responsibilities is someone who not only has tenacious patriotism, unbreakable love for and dedication to this country, determination to enforce domestic policy to put an end to our rapidly increasing debt, discipline to leave behind a prosperous economic future with a higher standard of living for the vigorous legacy of generations to come and possesses the fearlessness and courageousness required to command the most intimidating, valiant and influential military forces in all of the world’s history. We need a president who is remarkably intelligent and clearly expresses the capability to develop a unfailing “game plan” to establish peace and prosperity throughout the Middle East and who will undeniably prove to the rest of the world the intensity of the profound influence and strength of political leaders of the United States. Our president needs to promise that enforcing justice will be our utmost priority, that we will withstand our unconditional devotion to the protection of the innocent and defenseless and that we will forcefully send a powerful message to any terrorist organization seeking to cause chaos, refuse cooperation, ignite fear at the heart of our homestead and continue to commit sinister and gruesome crimes against the citizens of our country and those of our allies, that we, the American people, will assure they suffer consequences of maximum severity. Without a firm stance against our enemies, high expectations for our leaders, and overwhelming support at the polls and in everyday life, we will continue to foster a reputation of a weak, pathetic generation who isn’t brave enough to stand up for our own rights, fight our own battles and protect those who aren’t capable of fighting for themselves. The decrease in political participation and reluctance to care about the future of our country is a growing trend that is negatively contributing to the downward spiral of a disgraceful generation with an “entitled” mindset. The truth is, we aren’t entitled to anything. Nobody owes us the privileges we take advantage of every day – a strong military to protect us, clean water to drink, healthy food to eat, advanced healthcare and medicine, social security benefits when we retire, freedom of speech and religion – the list continues. We have abundant blessings to be humbled and thankful for, yet some members of our generation selfishly demand even more and assume every privilege should be handed to them. The girl who never shows up to school now expects our country’s taxpayers to pay for her college education. The boy who dropped out of high school now expects a higher minimum wage even if that means one of his coworkers, a single mother, will lose her job. What happened to the theory of “work and reward?” How did we become so self-absorbed? As the youth of our nation cowardly shuns the consequences of our self-centeredness and unwillingness to take control of our own problems, we remain oblivious to the real injustices and tragedies occurring every day. On the other side of the world, there’s a girl who risks her life by sneaking her way into school because she believes in the benefit and privilege of getting an education. There’s a boy who is publicly executed in the street because he stole a loaf of bread to bring home to his starving mother. Yet we sit here, scrolling through Twitter feeds on our cell phones during class and throwing away cafeteria food because we “aren’t in the mood for pizza” and have the nerve to say we aren’t directly effected by the problems of those who can’t defend themselves against the injustice they face every day. Newsflash: taking care of humanity is everyone’s problem and is everyone’s responsibility. Every day, citizens of this country, especially the youth and the young adults, should remember to be grateful and mindful of what a privilege it is to have all the information and knowledge we could ever dream of attaining literally resting in the palm of our hands. Even with all of our generous blessings, we still make the choice to remain ignorant to the abuse and atrocity that takes place every minute of every single day as we live in our own comfortable, carefree, delusional little bubble. It is blatantly disrespectful to the hard working labor slaved away by the previous generations of our families and founders who managed to maintain a humble mindset of selfless hope to create the tremendously advantaged lives we shamefully take for granted today; it is dishonorable to the precedent they left behind, providing for us a legacy of convenience, opportunity, prosperity and bliss, all luxuries they never allowed themselves the satisfaction to experience, as they sacrificed on our behalf, for the sake of our betterment. With the vast resources available to our privileged generation, there is no excuse for us to shy away from working as hard as we can toward making a true and lasting difference in our world – a real assertive effort to establish peace. I challenge us, the youth of our country and the future of the entire world, to grasp these issues in the palm of our hands with a tight fist and once and for all to sustain coexistence in a global community founded on the principles of love, service and acceptance of one another. To create a better tomorrow, we have to start with today. Lets plan to leave this world knowing we gave it our best effort, we never gave up and we always strived to create an abundant, flourishing future. Step aside Grandpa, a new greatest generation is in the making. Separator image Posted in Opinion and tagged with emily finn, Millennials, opinion.